Fourth day of the trip is technically a free and easy day for all of us. 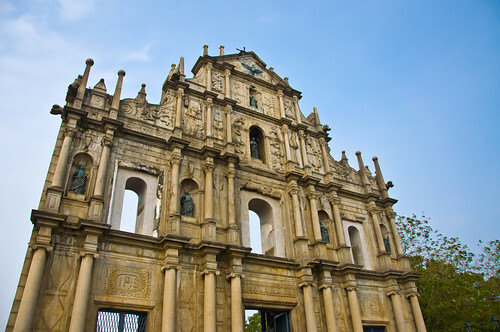 With Macau being a small city with many of the major attractions being of easy reach from each other, it is possible to spend as little as 2-3 nights in this city. Anyway since the purpose of the trip was a little bit to play on the gaming tables, today was the day I started changing chips for play. Though before the day started, we had a nice meal at a Michelin-starred restaurant, The Eight. 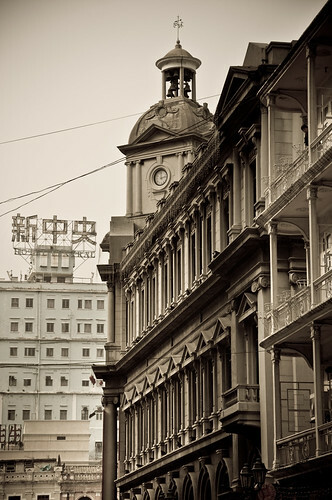 This is the Cantonese Restaurant of the Grand Lisboa, and reservations are strongly recommended for this place. We had to make a reservation one day before hand. However, this place is worth it and serves truly amazing dim sum and Chinese tea. I have to say this place was one of the highlight restaurants in our trip. Try their steamed dumplings, prawn fritters and some of their soups. It truly deserves its Michelin star! Prawn Fritters at the Eight! Must try! After filling our stomachs, Dad and Mum headed to the Grand Lisboa, while I went around to venture the city. First stop for me was to exchange for the new Macau Patacas issued by the Bank of China. Collecting the currency notes and coins of the places I go to is part of my interest. Coincidentally, Bank of China just issued new notes for the year 2009 and these new notes are very well designed, showing the main historic sites of interest of Macau. From there, I headed towards the Ruins of St Paul, and obtained a good shot of the Ruins. It was also great that the weather cooperated on this day with clear blue skies and sunshine, making it a very nice day for a walk. Needless to say the crowds were out there too! 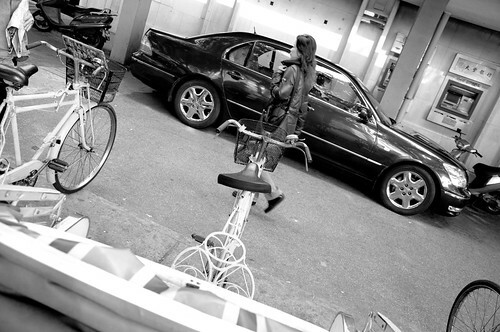 A Pedestrian walks past a row of Trishaws, with a Limo at the background. The above photo of the Ruins is one of my favourites for this trip. I guess I was lucky to catch this shot with ample lighting, and clear skies. Though I think a little bit of clouds might have made it nicer… But then again, this day was the day I took the most shots with my DSLR in Macau. For more of them, just head to my Flickr account. After a day at the gaming tables, and flush with some winnings, we treated ourselves to a nice dinner at Wynn’s Cantonese Restaurant. Make this place my 2nd favourite restaurant in Macau! I did enjoy the dinner there, and again, their Chicken Soup was good, so was some of their dishes like Stir Fried Wagyu with Black Pepper! 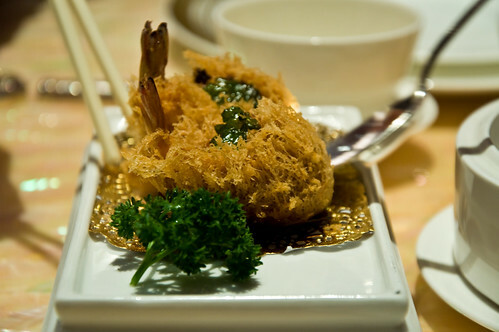 Macau is truly becoming a foodie’s paradise with all these new casinos! Let’s see how the restaurants at Singapore’s IR fare in 2010!